This tweet went viral recently. 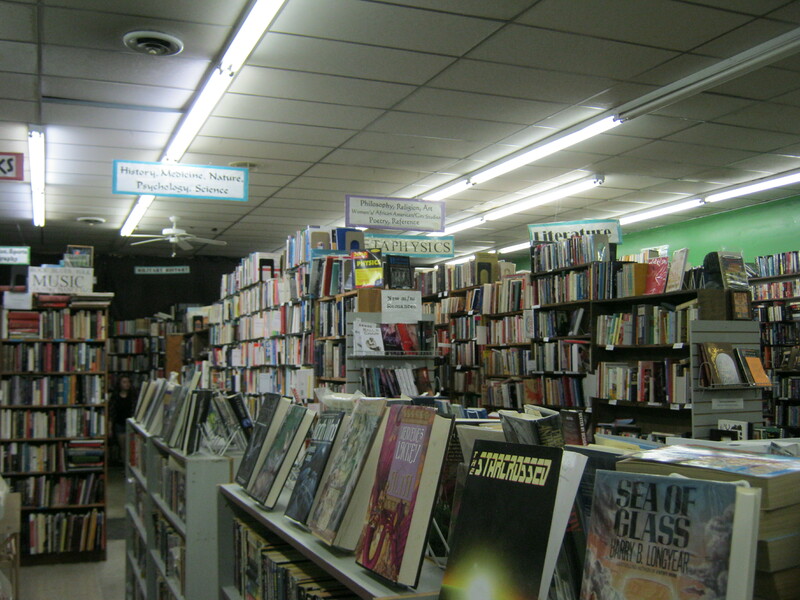 Fountain Bookstore is an independent bookstore in Richmond, Virginia. I’ve never visited the store, but from their web page, it looks like a place I would love: author appearances, staff picks, a robust children’s section, indie published books, even a way to buy audiobooks through the store, where the store gets a piece of the action. It looks to me like the booksellers have worked hard to create a great customer experience in a well-curated store. A bookstore in your community. A place to spend an afternoon or part of an evening. Personalized service by knowledgeable booksellers, who over time get to know their customers. A place shaped around your community–from local issues to local history and local authors. A host for book groups and a resource for their discussions. A local employer that spends money in your community and pays local taxes. Part of that magic mix of shops and stores that turn places where we live into great places. If you like the store’s vibe, do you want them to be around in five years? Ten years? The only way it happens is if you buy from them. And, when you buy local, you walk out with the book in your hands! No waiting for deliveries or risking them being stolen. I get the impulse to save a few bucks. What I would suggest is that paying a bit more for the intangibles that enrich our lives in the real places we live might be the real bargain. Maybe buying less stuff but buying it local helps us both live with better economic boundaries, and live in a real network of economic relationships rather than one mediated by screens. Here’s a thought. If you are going to pull out a phone in the store because you want to make a good purchase, don’t use it to find the cheapest price for the book, but rather to check out the reviews on the book, at Amazon, at Goodreads (now owned by Amazon), as well as other published reviews. (I kind of like using the online booksellers’ internet infrastructure to support local booksellers!). That can help you figure out whether the book is worth shelling out whatever price is being asked. At most, it will be a few dollars more, and many indie booksellers have some kind of discount program for regular customers. On December 13, 2016, Publishers Weekly posted an article that caught my attention: Gramercy Books Opens in Columbus. That is big news. No retail independent bookstore has opened in Columbus in at least a dozen years. The store was the idea of co-owner and author Linda Kass (author of Tasa’s Song), who was inspired by a visit to Sundog Books, in the Florida panhandle, nearly 20 years ago. Store manager Debra Boggs told me that in preparation to launch the store, Linda visited a number of the best independent stores in the country including fellow author Ann Patchett’s Parnassus Books, in Nashville, Tennessee. Then she teamed up with co-owner and general manager John Gaylord, a long-time bookseller who operated a number of Little Professor Stores, and store manager Debra in opening the store in early December 2016 (grand opening was January 27-29, 2017). We visited Gramercy Books this week for the first time. Gramercy Books is located on the northwest corner of East Main Street and Cassidy in the newly re-developing shopping corridor in downtown Bexley, across the street from the Bexley Public Library. It is on the first floor of a condo building developed by her husband, developer Frank Kass. Connected to the store is a delightful little café and bakery, Kittie’s Café, owned by the folks who run Kittie’s Bakery in German Village. They feature Stumptown Coffee and delicious baked goods (coffee, baked goods, and books, what is not to like?). There is parking on the street as well as behind the building off of Cassidy. The main entrance is off of East Main Street and everything spells “inviting” — the black lettered “Gramercy Books” against the light gray stone, below which is a black awning with white pin stripes and the doorway itself with “Find adventure here” stenciled on the window beside the doorway. One steps into a bright, well-lit and thoughtfully laid out store. In front as you enter, you find featured titles and best-sellers. To the right are periodicals and beyond that to the right, behind Kittie’s, is the area for children’s and youth books. Behind the sales counter, you will find an ample selection of Young Adult fiction. In the back left corner of the store, on the back and left walls are the fiction and literature sections. As one looks about the store, one’s eye is drawn here. I found a collection of Langston Hughes poetry in this ample section. Books in a number of non-fiction subject areas may be found in aisles of shelves arranged on either side of the sales counter. This includes books on Ohio and Ohio authors, an ample selection of history and biography, political science, social science and psychology and self-help books, business, sports, spirituality, and arts sections. The front corner to the right of the entrance has a collection of books on cooking. There were kiosks in different parts of the store featuring favorite books of Linda Kass, and the store manager, Debra Boggs. What impressed me was the wide variety of interesting books from popular best-sellers to serious and thoughtful fiction and non-fiction writing. The team at Gramercy describes it as a “curated bookstore.” Recommendations by different booksellers may be found throughout the store, and it was clear from talking with Debra Boggs that much thought is given to the tastes of their customers as well as the recommendations of trade publications. The feel is much more personal than a large chain store, which can seem overwhelming. Some stores like this have felt “thin” in terms of selection. That was not the case for me–I found much of interest all over the store that I’ve not read. In addition to a customer-centered approach to business and an atmosphere that invites you to come and stay and find a few new treasures, the store hosts a number of events to draw people from near and far into the store. They host author nights for a number of local authors, poetry nights (which I understand are their biggest draw), a book club (discussing J.D. Vance’s Hillbilly Elegy on April 25) and even songwriter spotlights. A big upcoming event, co-sponsored with Bexley Public Library (get tickets through the library’s website via Eventbrite), is a book-signing and meet the author night with The Underground Railroad author Colson Whitehead on April 28. The store may not offer the discounts you will find at the big chains or online but it offers a knowledgeable and friendly staff, free gift-wrapping, special order service, gift cards, ten percent discounts to book clubs, and a Free Rewards program, offering a $5 gift certificate for every twelve books you purchase, plus a free monthly e-newsletter. They seem dedicated to the kind of service that fosters repeat business. This is a wonderful addition not only to the mix of businesses on East Main Street near the Capital University campus, but also on the bookselling scene in Columbus. It is neither a secondhand store nor a chain. It is an inviting place that conveys to the reader the message, “we were thinking of you and thought you might enjoy reading this…or this.” It is a gem that I hope the Bexley community and the broader book-buying public in central Ohio will support. If so, I know that Linda, John, Debra and the rest of the staff will say a “big thanks” (the meaning behind the word “Gramercy”). Does Barnes & Noble Need to Think Like an Indie? Barnes & Noble just fired their CEO, Ron Boire, hired just over a year ago, as sales figures for the chain continue to decline, attributed to store closings, poor NOOK sales, and declines in sales at BN.com. At the same time, Barnes & Noble is experimenting with “concept stores” with larger cafés that serve alcohol. I wonder if Barnes & Noble needs to start thinking much more like the indie booksellers, who are actually opening stores, seeing at least modest sale increases and are surviving the greatly exaggerated “death of reading.” First of all, I don’t think they are ever going to compete with the uber online bookseller. That despite the fact that BN.com has, in my opinion a much cleaner look and integrates well with its local stores, where you can order an item to be reserved in your local store (if it is in stock) and pick it up in an hour. Prime Now, which involves a Prime subscription and will deliver in two hours to homes in many areas has very limited selections in books eligible for such delivery, although they offer many other items not available through BN.com. Quality service from booksellers who love books. These are people who help you find a book, call you when a book you might like is in their store, and recommend books that fit your reading tastes. There are some of us who find the human touch much more appealing than an algorithm. I have to admit, the booksellers I’ve dealt with at our local Barnes & Noble stores have fit this description in many regards, although it seems I rarely deal with the same person twice. Author events. Surveying our local Barnes & Noble store websites, only one of the stores in my area had any author events scheduled. This store had three posted between August 18 and mid-November 2016. The other events at all stores were events for children–a lot of events for children. I will give them credit for encouraging youthful readers, but what about events for teen readers, for young adult readers, for graphic novel readers? What about events for plain old adult readers? Host book clubs and help launch and source community-based groups. According to a Publishers Weekly article, such groups have been an important part of indie stores bottom line. I could not find any evidence of efforts to encourage book clubs on local Barnes & Noble store websites, nor have I seen this in stores. Host other fun reading events. Admittedly some stores have capitalized on parties around the latest Harry Potter release. Silent reading parties have become trendy in some places, a place to go and read quietly with others, perhaps with wine and cheese (which may be part of the idea for stores serving alcohol and having expanded cafés). Use the web and social media not just to sell stuff but to relate to customers. Many indie stores, particularly used and rare stores in out-of-the-way places have a significant percentage of sales online. I think of one store I’ve ordered from on several occasions in an out-of-the-way part of eastern PA whose owner I’ve interacted with regularly via blogs and Facebook because of shared book interests. I’m a customer because of those interactions and even promote (with no personal benefit) his store on this site. Give managers and booksellers a stake beyond just keeping their jobs. For indie sellers, this is their livelihood, lucrative or not. I could not ascertain from online searching whether Barnes & Noble provides any kind of sales or profit-sharing incentives. With that, I would also give a certain amount of creative latitude to these folks to market to their particular community’s needs and interests. There should be rewards for creativity and hard work beyond salaries or hourly wages, if it benefits the bottom line. I don’t know what to say about Nook. It strikes me as the Betamax of the e-reader world–superior in many respects to Kindle in both hardware and software aspects, but a loser in the marketplace. Part of the challenge is the leveling off and decline of e-sales in general. Unless they can create the marketing cachet enjoyed by Apple products by combining elegance and technology innovations, I personally think they need to cut their losses and support existing e-readers and users of their phone and tablet apps. I’d like to see Barnes & Noble make it. They occupy a niche distinctive from used bookstores as the only seller of a deep and wide selection of new books physically accessible in many communities. I just hope that they will decide to focus significant attention on the core of their business, and not just on fancier cafés. The indie sellers seem to understand that outstanding customer service and relations are key to their survival. I hope Barnes & Noble has not gotten too big to understand the same. Yesterday I wrote about the trends of print and e-book sales and the future of both media and suggested that both will continue to be with us. I touched as well on textbooks and preferred media for these, indicating that students continue to favor print, and for good reason. What does all this mean for book selling? It is interesting that indie bookstores reported a 4.7 percent gain in revenue this past year.It seems that “buy local” programs in many cities have contributed to this sales growth. Publishers Weekly reports that 60 new indie stores opened in 2015, continuing a trend from 2014 when 59 new stores opened. I’ve observed a trend of local booksellers becoming increasingly savvy at cultivating clientele, and making their stores attractive “third places” through author readings, book and writing groups, coffee and wine bars, and attention to service. Still, they struggle with obtaining credit for business expansion and also pricing practices that favor the large buyers. This may be a crazy idea, but given that e-books will continue to be with us, I wonder if there might be a way people could purchase e-books through indie bookstores. If stores serve as a showroom for books, might there be a way they can benefit from e-book sales when people prefer this format? This means either a competitive alternative to Apple and Amazon, or some arrangement with these online sellers. One advantage of the latter would be a chance to support rather than compete with “buy local” movements. Probably won’t happen. Barnes and Noble also showed a slight increase in profit with print and college sales offsetting losses in their Nook market. But this chain continues to retrench and it is facing a new challenge with Amazon opening its first brick and mortar store in Seattle and rumored to be planning additional openings. It will be interesting to see how “brick and mortar” Amazon competes with online Amazon! What has been less covered but may be equally significant for Barnes and Noble is that Amazon has begun opening Campus Pick-up Points at various universities including UC Berkeley, UC Santa Barbara, University of Cincinnati, Purdue University, and University of Massachusetts at Amherst. For now these simply serve as a pick up point for students ordering textbooks who may have difficulties receiving them at campus addresses. They also offer faster delivery of orders for Amazon Prime or Amazon Student members. This could be a serious challenge to Barnes and Noble as well. Nearly 30% of their revenues are in college sales. As with the books we buy, where we buy them and in what form will continue to shape this industry going forward. The question of how important the physical community in which we do commerce is to the kinds of lives we want to lead will have a big part in determining the mix of local independent merchants, large retail concerns, and online sellers in our future. Just in case you’ve wondered, we’ve been on kind of a stay-cation this past week. One of the things we like to do is explore small towns in Ohio, and whenever there is a bookstore, to check it out. On Friday, we spent part of the day having lunch and looking around Clifton Mill. Then we too a short drive from there over to Yellow Springs, Ohio, the home of Antioch College, and Dark Star Books at 237 Xenia Avenue in the heart of the shopping district of Yellow Springs. Visiting Yellow Springs is kind of like stepping into a time warp and being transported back to the late 60s, early 70s–a very hippie, counter-culture setting. 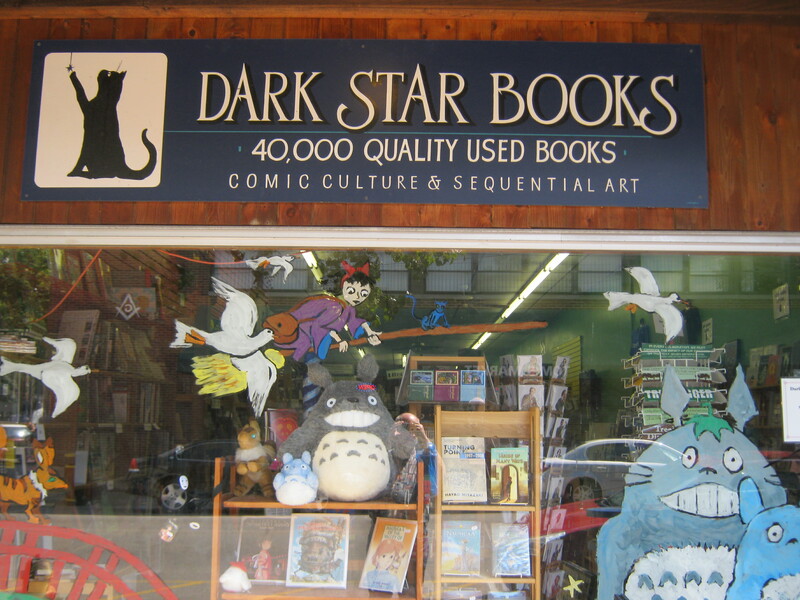 Dark Star Books has that kind of feel with an interesting twist. The store was started by Mary Alice Wilson after a career in teaching. 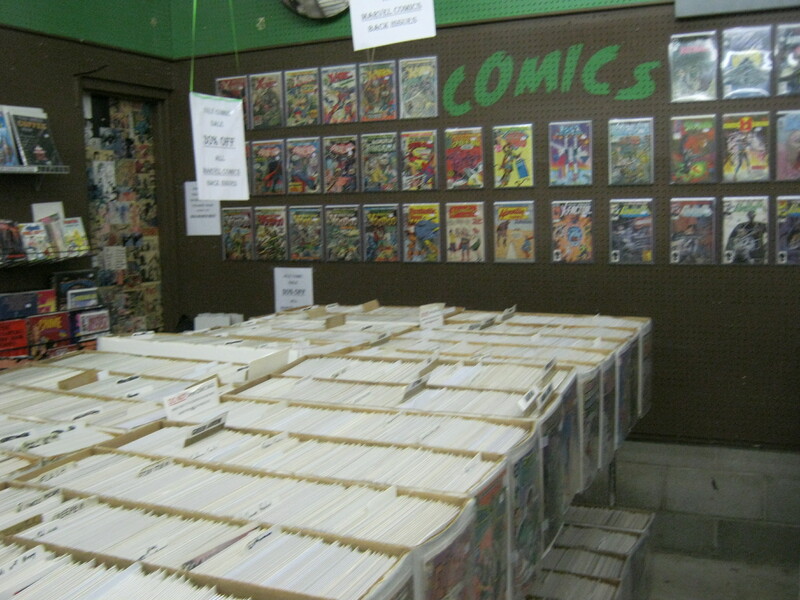 She began with her son’s comic book collection and comic books and items related, like science fiction, fantasy, role-playing games, and suspense, mystery, and thriller literature are emphases of the store. We even picked up a Star Trek comic our son didn’t have (with his help on the cell phone). At the counter, we were telling Frank, the comic buyer about our son having his want list, and Frank said, “Have him send it to me!” It’s that kind of place. The back part of the store caters to more to those with our tastes, with everything from cookbooks to history, to science and metaphysics sections. Although it was not entirely the case, it felt a bit that we had stepped back into the late 60s, early 70s in this part of the store. It seemed that a significant part of the books, not all, were the kinds of things we were reading back then–Teilhard de Chardin, Herbert Marcuse, and the like. But I did find a nice copy of the one volume condensation of Lee’s Lieutenants, along with a John Innes mystery, which was not easy to come by. In talking with Frank, we learned that the store has had increased sales this year, a trend that seems to be true with many Indie stores. We also noted that they do buy books from customers but appreciate a call ahead because they are not always able to evaluate books on the spot. After wandering a bit more around Yellow Springs, we finished our trip to these parts by stopping at Young’s Jersey Dairy, about 2 and a half miles north of Yellow Springs on US Rt. 68. This is an attraction for kids and adults with demonstrations, a play area, putt-putt, a restaurant and a store that sells dairy products, has a grill for the lunch crowd, and an ice cream counter, which was our destination. A nice way to finish off the day in this part of Ohio! I mentioned a couple of posts back our recent visit to Grove City. 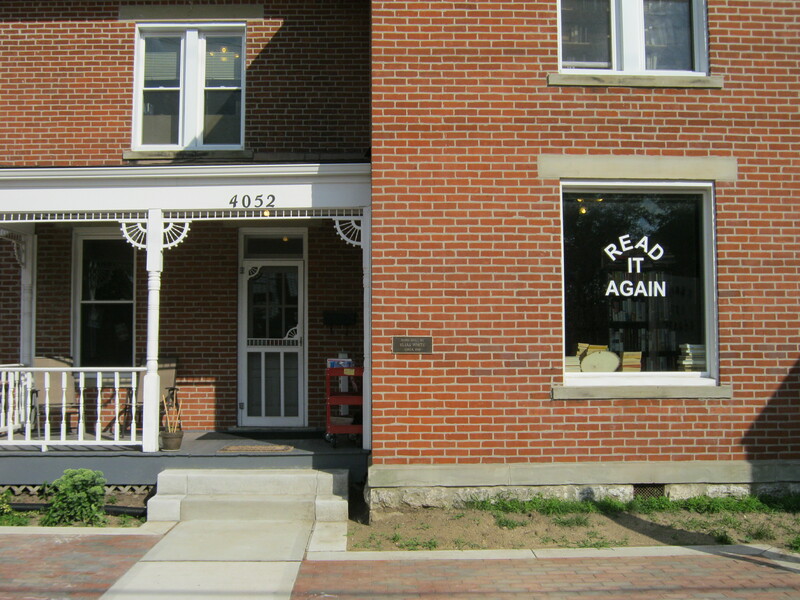 One of our fun discoveries was Read It Again Books, located in Grove City’s shopping district at 4052 Broadway. This is a classic used bookstore. 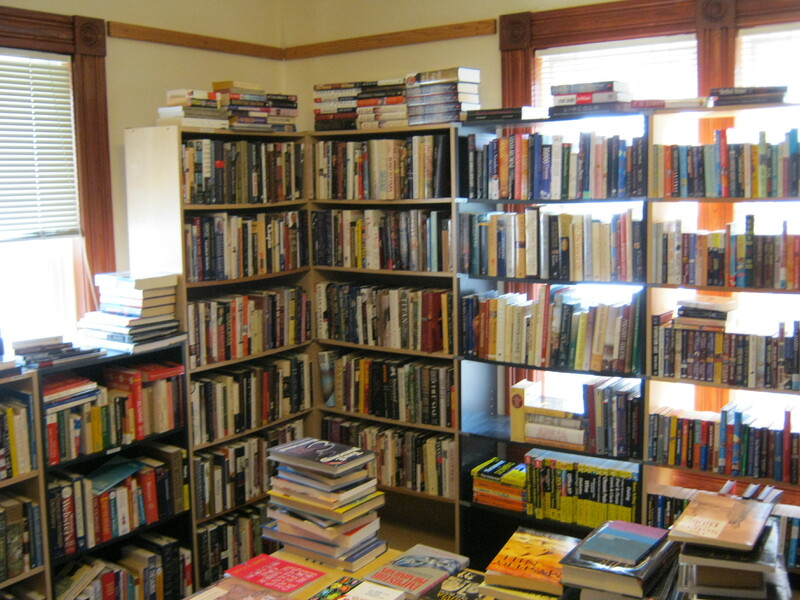 It is located in an old two-story home on the main street of Grove City, with every room filled with shelves and tables of books by different categories. When we arrived in Grove City mid-afternoon, we found the store closed but found enough to divert us until they opened at 5 pm. The owners, Lora and Lynn, work other jobs during the daytime and so just open during the evenings on weekdays, from 5 to 8 pm, from 10-6 on Saturdays (they may be opening at 8am for the new farmers market that is starting up this Saturday) and 1-6 on Sundays. We’re so glad we came back, not only for the cookbook of ethnic recipes from Cleveland my wife found (we lived there for nine years) and a mint condition copy of E. H. Gombrich’s A Little History of the World I picked up at a very reasonable price. We also really enjoyed getting to know Lora and Lynn. Lora seems to be on a first name basis with most of her customers and really makes a point of getting to know their reading interests. We saw children, teens, and adults stop in while we were there. They have a children’s room and Lora worked with a couple of the children helping them find books they would enjoy in a way that would make any children’s librarian proud. She had a book she had set aside for one of her teen customers that she thought she would like. Lynn was involved in shelving new acquisitions and what was fun was just listening to him talk about books they acquired that he found interesting. In addition, Lynn makes hand-turned fountain pens which also are for sale at the store. These were works of art. 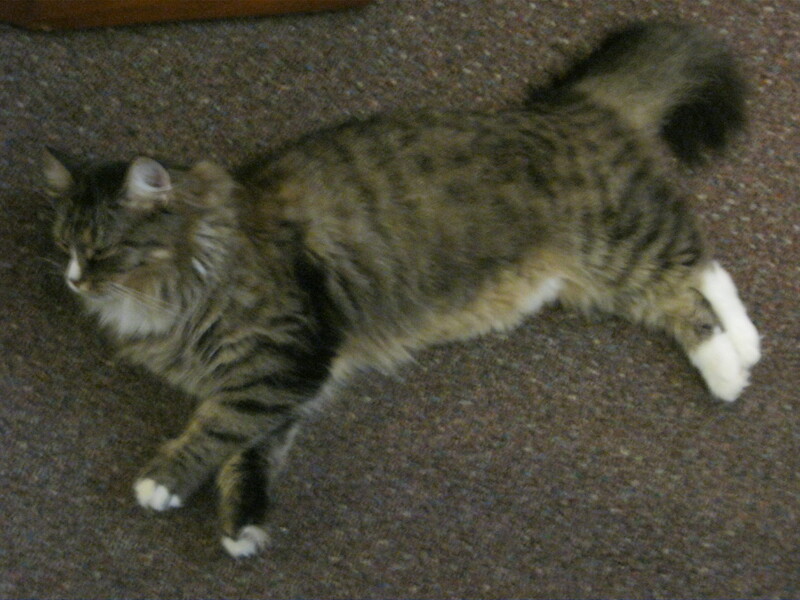 Of course, one can’t forget Lucy, the quintessential bookstore cat. She seemed very friendly to the children in the store and just seemed to lap up attention. Lora claimed that this was the only used bookstore in southwest Franklin County, and from what I know, I believe she is right. What was obvious to me was that Lora and Lynn loved books, loved connecting customers with books they would enjoy and work hard to both serve their community and make a go of this business. In that, they seem to represent the best ideals of the used/indie bookstore movement. And for that, I’m only too glad to give them a shout-out! I wrote yesterday about my visit to a wonderful little independent used and antiquarian bookstore. As it happens, I also had a chance to visit our nearby Barnes and Noble store, incentivized by a 20% coupon I’d received by email. 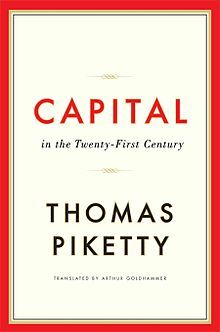 Turns out I was able to score a copy of Capital by Thomas Piketty (my BIG summer reading project) at under $20 (retailed at $40) using my Barnes and Noble membership, the coupon, and the discounted price they were selling it at. Perhaps they knew that sooner or later potential readers would figure out this is a LONG book even if it is a best-seller. It is interesting to reflect on how my experience compared to my visit to the Indie bookstore. Both certainly offered the experience of browsing long aisles of books and discovering books of interest I was unaware of. Barnes and Noble occupies far more space of course, and one of the big differences is no floor to ceiling bookcases and much wider aisles. There was no Norman in the basement lovingly preparing books for the shelves because there was no basement. Still, the booksellers were friendly and I was asked if I needed any help. So were the people at checkout, but with a big difference. It was all very inefficient, and impersonal. No one knew any names. The customers by and large didn’t know the booksellers or each other. I suppose there are times we want it that way. But the feeling was, as I reflect on it, that this was just a big box store for books and media–and pastries. That was the other thing. At checkout, we were given a coupon for $10 off cheesecake from their cafe’. And we were really encouraged to go buy one. So we wandered over, only to find out that the starting price was $40. We didn’t need cheesecake that badly. But we were given plenty of reasons why we could need it. It was plain that they really wanted to sell us a cheesecake. It was interesting that the greatest effort to engage me as a customer in a bookstore was to try to sell me a cheesecake. 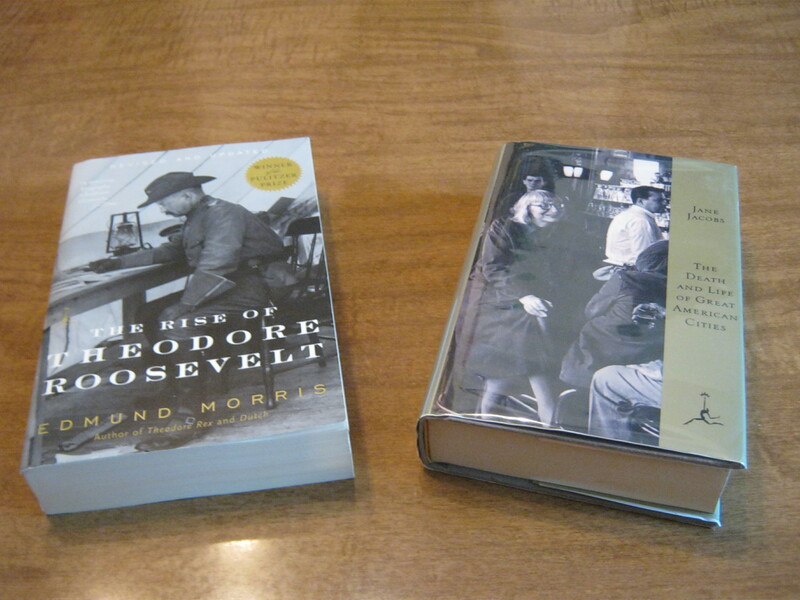 In the other store, what they cared about were what kind of books I was interested in. It is fascinating that there is something of a resurgence in the Indie stores, at least according to this Salon piece. What I wonder is whether this season of discontent with Amazon over its treatment of Hachette might be an opportunity for Barnes and Noble stores to take a look at the Indie stores and how they might operate more as a “third place” than as a big box store for books, media and pastries. I don’t say ditch the pastries– a cup of coffee and a scone are wonderful adjuncts to leafing through newly purchased books! But thinking about how to make this like the neighborhood bookshop might be worthwhile as well. What strikes me is that the Barnes and Noble booksellers I’ve met also know and love books. And my observation is that most of what people are actually buying in the stores are books. In the small Indie store I wrote about yesterday, they help foster a community of booklovers. It occurs to me that there are many members of the same tribe frequenting Barnes and Noble–and working there. I can’t help wondering if working on that connection could make Barnes and Nobles a more enjoyable place for booksellers and customers alike. And I can’t help wondering if it would enhance sales. I could be totally out to lunch here. What I do know, and maybe this is a function of age, is that I am increasingly attracted to the places where that connection happens. What do you think? What do you value most about going to a brick and mortar bookstore? I’ve been seeing lots of posts decrying Amazon’s recent conflict with the Hachette Publishing Group. I don’t intend to add to that outcry with this post, other than to say, if we think Amazon is a monster, then it is one we have helped create and it is just doing what it thinks are in its best business interests. There is a brutal, bottom-line logic to how these companies (Hachette as well as Amazon) operate. I suspect in the end they will come to some kind of compromise — neither wants to kill the goose laying the golden eggs. My son did a post on his blog that argues this point in far more detail, so I don’t need to. What I would rather talk about are the great brick and mortar Indie bookstores, whether selling used and collectors book, or new. I was reminded these treasures during a visit this week to the Acorn Bookshop in Grandview Heights, a couple miles west of Ohio State’s campus. 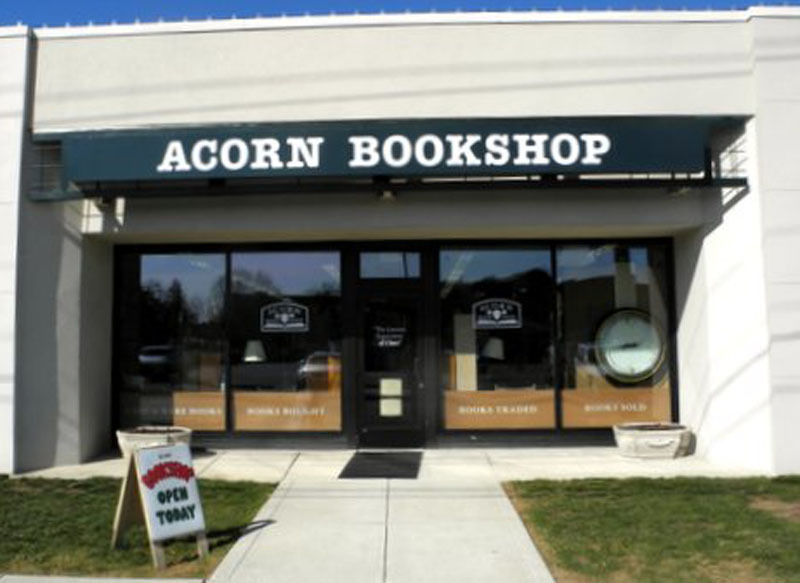 Acorn sells used and antiquarian books. George Cowmeadow Bauman is the co-owner and known widely as “bookstore George”. His love of collecting books and selling them came from his aunt, to whom the store is dedicated. He tells the story wonderfully! This was my second visit to the store (I mentioned it in a post early in this blog’s history). I was in the neighborhood and decided to use a gift card a kind friend sent because she liked some of the posts on this blog! Who was I to complain? I hadn’t explored the basement before and in the process came across Norman. George calls what he does “Normanizing”. Before books are shelved, Norman repairs, cleans, and for books with dust jackets, puts a protective sleeve like those you see on library books over the dust jacket. I think for this reason, the store doesn’t have the musty, dusty feel I encounter in most bookstores of its type. I’ve not been to a bookstore before that did this and I thought it was quite a nice touch! One of the things that marks this store is the friendly relations between all the booksellers and the customers, those who are selling books and those who buy. I was looking for a hardcover copy of the first installment of Rex Morris’s biography of Teddy Roosevelt but could not find this. They had a paperbound copy which I ended up buying but they searched downstairs to see if they had it. On their website, they speak of this store as having an atmosphere kind of like the old comedy, Cheers, where everybody knows your name. There is an experience in wandering around a bookstore like this, not only of discovering things you’ve not heard of before that are interesting, or finding that book you’ve been looking for. There is also the experience of being among a community of book lovers, of people you don’t have to explain your quirkiness to, because they get it. While I’ve not decided to boycott Amazon, I want to patronize places like this as often as I can because these people genuinely care about the love of books (as well as making a living at it), and fostering a culture where books and ideas and conversation about them are valued. It seems to me that places like this are part of what make a good city and a good society. I’d love to hear your stories of the physical bookstores you love and value. I am not a cat lover. But for some reason I found myself thinking this morning about bookstores and cats and why they go together. Of course, you will not see a cat in any of the bookstore chains. They probably worry about liability issues. Maybe the group of people frequenting the indie bookstores where you tend to find these cats are more respectful of the cats–keeping their distance and treating them as simply another book browser. Why is it that cats and bookstores go together? 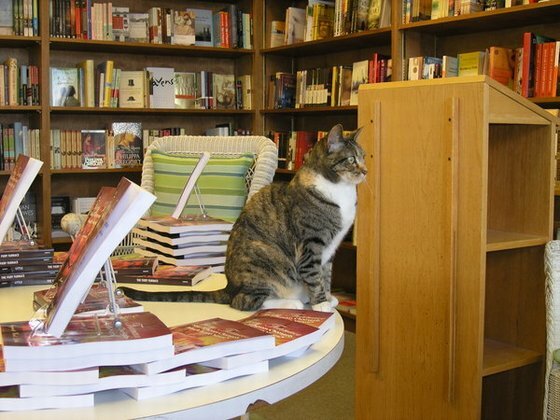 Maybe the question is why cats and indie bookstore operators tend to go together? Maybe independent is the common thread. Indie booksellers have always struck me as very much their “own” persons, similar to the personality of cats who seem to allow you into their lives very much on their terms, if at all. Why do cats and books go together? Is it that we wish we had the mythical nine lives of cats to read all the books we would like? Or is it that cats seem to represent the all-knowing creatures we are tempted to think we can become through our books? Perhaps it is much simpler. Somehow the presence of a cat wandering the shelves or perched atop a stack of books makes these stores seem a homier, more welcome place. That’s the impression we had at one of our favorite book haunts of the past, Twice-Loved Books, an indie used book store that occupied a former homes in Youngstown, Ohio. The store is no longer. But the memories of wandering the rooms with the store cat remain. The cat just added to the whole feel of the store as a place for an unhurried browse. I hope the bookstore cat indeed has nine lives, because it will mean the stores it inhabits will as well. I’d love to hear about your favorite bookstore cat!